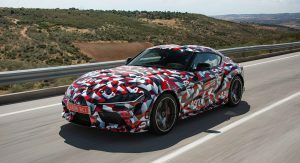 Starting from today, British customers can place a pre-order for the much-anticipated 2019 Toyota Supra sports car. 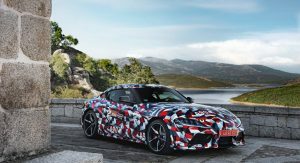 The automaker’s UK subsidiary has just made the announcement, hinting an imminent reveal of the fifth-generation Supra. “With only limited numbers available, we want to give people the earliest opportunity to secure their vehicle,” said Toyota GB Marketing Director Andrew Cullis. 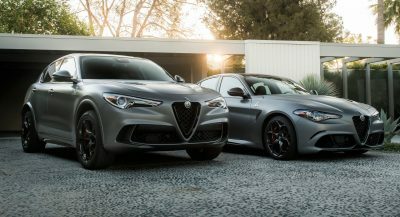 Only 300 cars will be available in the UK during 2019. As a result, those who want to make sure they secure one can place an online reservation. Customers can make the pre-order via Toyota UK’s national consumer website or their local retailers’ web pages, using the My Toyota app. To make the reservation, buyers must submit personal details and pay a £1,000 ($1,310) refundable deposit. The good news is the customer will get the deposit back if they change their mind. Toyota said that once all 300 places have been taken, new customers will be allocated a place on a waiting list. 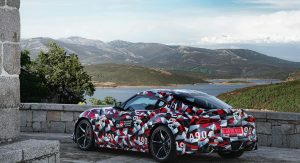 Prices and specifications for the Supra A90 will be announced soon, the automaker revealed, adding that full order books will open in the New Year. 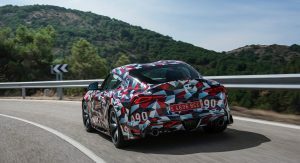 The 2019 Supra uses a front-engine/rear-wheel-drive layout, with the straight-six engine delivering a power output in excess of 300 bhp. While an eight-speed automatic transmission will be standard, right-hand markets, including the UK, might get the option of a manual gearbox. Another day, another Supra article. The BMW z4 fake supra…. Is that you Sherlock Holms? 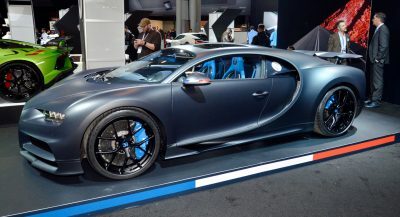 Heard the reveal/debut will take place at the Detroit Auto Show next January. Can’t wait! Yeah, the report was confirmed and circulated around the net a couple of days now. How soon until people try and sell their reservation slots for this thing? Nah, I’m just joking no one is greedy enough to do that with a Toyota. They’ll just put an ad for the car before it even arrives for nearly 80k like what some guy did on Craigslist with the Civic Type-R.
Interest in this thing peaked about two years ago. The lack of preorders for the States proves it. Oh look Stupra.. that’s what you get when you put stupid and Supra together.. They are probably hoping there will be some jealousy from the US market and change the impression of the Supra.